The Mother of the Nation Festival in Abu Dhabi highlights women empowerment by promoting local and resident women’s businesses ranging from homemade scented oils to Emirati handicrafts. In this spirit of empowerment, cooperation, and participation in local and national events, a group of Dawoodi Bohra women in Abu Dhabi set up a Happy Threads stall at the Mother of the Nation Festival to exhibit, promote and sell 100% homemade and hand knitted merchandise. 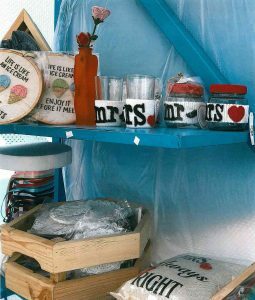 Proceeds from the sales go towards empowering women within the community. The fourth edition of the Mother of the Nation Festival (MOTN) returned to the UAE capital in conjunction with the Special Olympics World Games, which took place from March 14 to 21. Held along a kilometre of Abu Dhabi’s Corniche, the Festival embodies the spirit of the ‘Year of Tolerance’ through a number of activities. From musical and entertainment performances and art exhibits to interactive workshops, it offers something for everyone to enjoy. 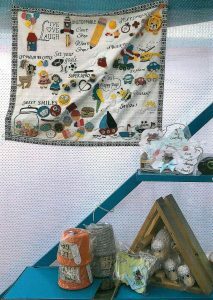 The Happy Threads stall showcased a variety of products from cushion covers, mug warmers, handmade towels and napkins to pencil holders and keychains among others. Happy Threads witnessed a phenomenal response from visitors both men and women. They said the products on display were ‘quite unique, exquisite and with a personalised feel.’ What triggered their enthusiasm most, was the intricacy of design, the artisan touch, and the hours of dedication that went into the craftsmanship. 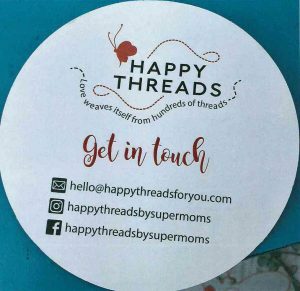 Visitors inquired into the origins of the products, and asked whether Happy Threads had an outlet in Abu Dhabi or the UAE. The art and craft of crochet was explained to young women visitors. Many expressed interest in learning it and enquired if Happy Threads conducted workshops for the same. Happy Threads with its maxim ‘Love weaves itself from hundreds of threads,’ is a Dawoodi Bohra community initiative meant to empower and educate women while providing them with the resources and expertise needed to successfully establish their own business. It works in conjunction with other like minded organisations such as Supermoms4U Foundation India, which provides women with the necessary tools to create handcrafted products, and serves as a platform to market, sell and showcase their work.